January 28th, 2016, Taipei, Taiwan – BIOSTAR proudly introduces the latest addition to its new flagship gaming series with the BIOSTAR RACING H170GT3. Meeting the needs of gamers’ by providing features perfect for an all-around gaming system. 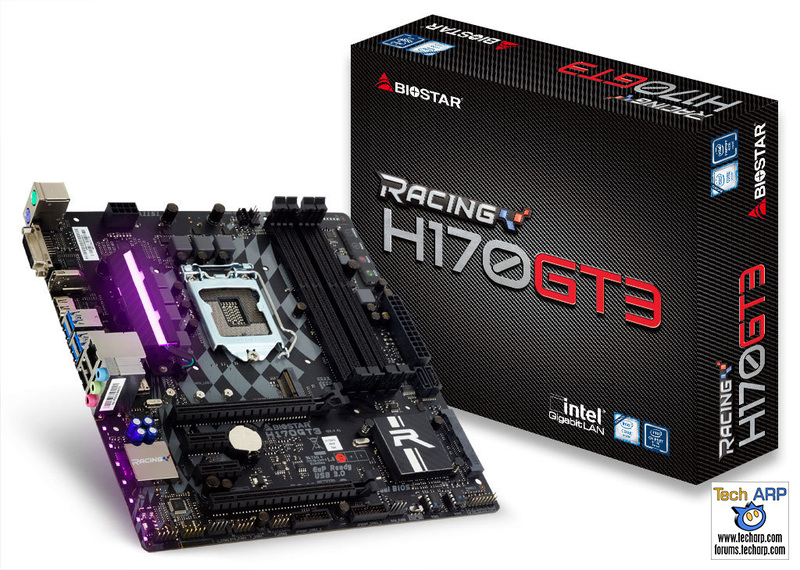 Like all BIOSTAR RACING series motherboards, the H170GT3 features improved features dedicated for gaming and entertainment with the RACING H170GT3 focusing on a balance of features and accessibility for light-purpose machines to heavyweight muscle rigs. The BIOSTAR RACING H170GT3 simplifies decision-making for gamers by providing a platform which can scale with the gamer. Supporting the latest 6th-generation Intel Core processors, the RACING H170GT3 enables gamers to have the latest technology powering their systems for the best experience when they play. Support for high-speed storage via M.2 and SATA Express enables high-speed access to data so games load faster so you can get to the action quicker. Gamers will also be able to show-off their personal style via VIVID LED DJ and 5050 LED FUN features allowing customizable lighting for gamers who want a color-themed rig. Next : Alcatel Flash 2 Discounted For Chinese New Year!